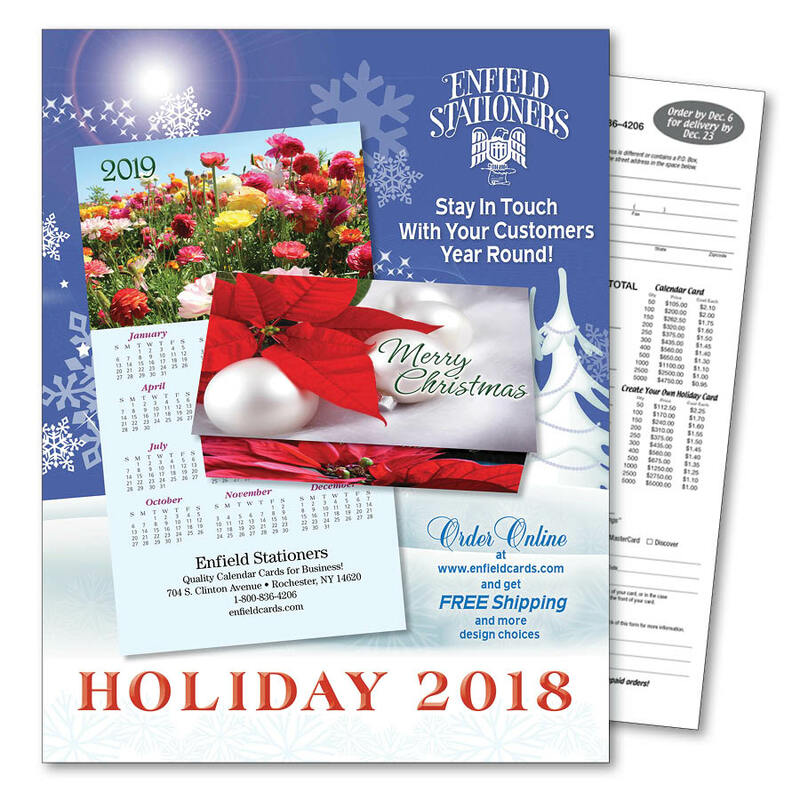 The Enfield Stationers Catalog pictures new business calendar card designs, as well as ideas for custom logos, colors, and imprinting. We offer more than 170 different business calendar card designs in all, which means you're sure to find a holiday card that's perfect for your business. Enfield Stationers offers up to six lines of imprinting, six different imprint type styles, return address imprinting, and gold foil lined envelopes all for free! We offer the best deal for these unique promotional products you'll find anywhere!